It's Friday which means you can score this week's Friday Freebie at Smith's! 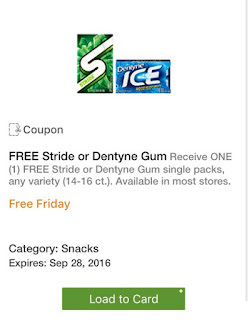 This week download your eCoupon for a FREE Pack of Stride or Dentyne Gum (single pack, any variety 14-16 ct). Coupon available today, 9/9/16, only and you have until 9/28/16 to redeem!